A new permanent exhibition, celebrating the history of medicine, is being created in a ward of the former Worcester Royal Infirmary. Extensive collections of medical equipment, documents and uniforms are to go on public display for the first time, in the building where the British Medical Association (BMA) was founded, thanks to a £537,000 grant from the Heritage Lottery Fund. The grant is 74% of the total project cost for the exhibition to be called Museum@WRI. The BMA was founded by Sir Charles Hastings in the boardroom of the former hospital in 1832 and the site now forms the University of Worcester’s City Campus. 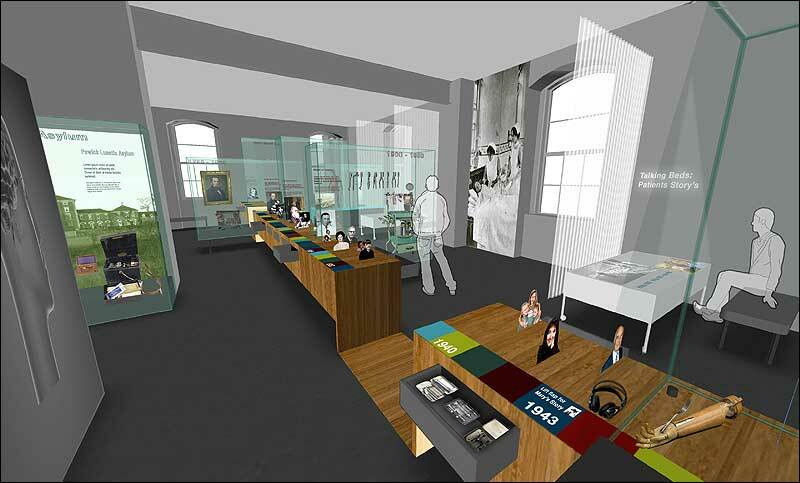 The University is working with the George Marshall Medical Museum in the City to develop the new exhibition. Visitors, will be asked to share their memories and stories of the WRI and will be able to vote and give opinions on today’s medical issues, such as stem cell research. Designed by Bristol-based Simon Fenn, the exhibition will include ‘talking beds’ and examples of traditional Victorian wards. The current George Marshall Medical Museum at the Worcestershire Royal Hospital will remain open, displaying further exhibitions of the City’s medical past.